The new EXEDY Hyper Builder Series allows the racer or custom car builder to assemble a clutch kit to fit their specific application. 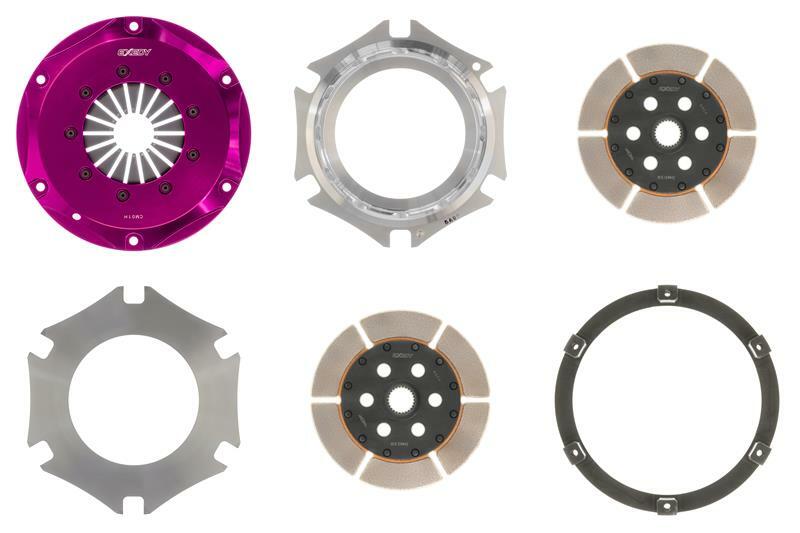 These kits are similar to our Hyper Multi Plate kits, but are supplied WITHOUT a flywheel. The Builder Kits can be used with any of the available flywheels or with your custom made flywheel to match an EXEDY kit to virtually any transmission. All EXEDY Hyper Builder Series kits all come with HD clamp load and a push type diaphragm for use with a 44-54mm release bearing. 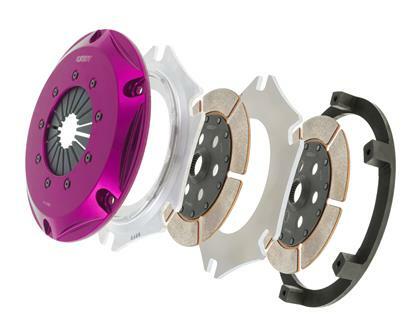 The lightweight cerametallic clutch discs are all 200mm diameter with solid hub for reduced mass and high torque holding capacities. Clamp load on every kit is a pedal friendly 2653, which holds 615 torque on twin setups and 923 torque on Triples. 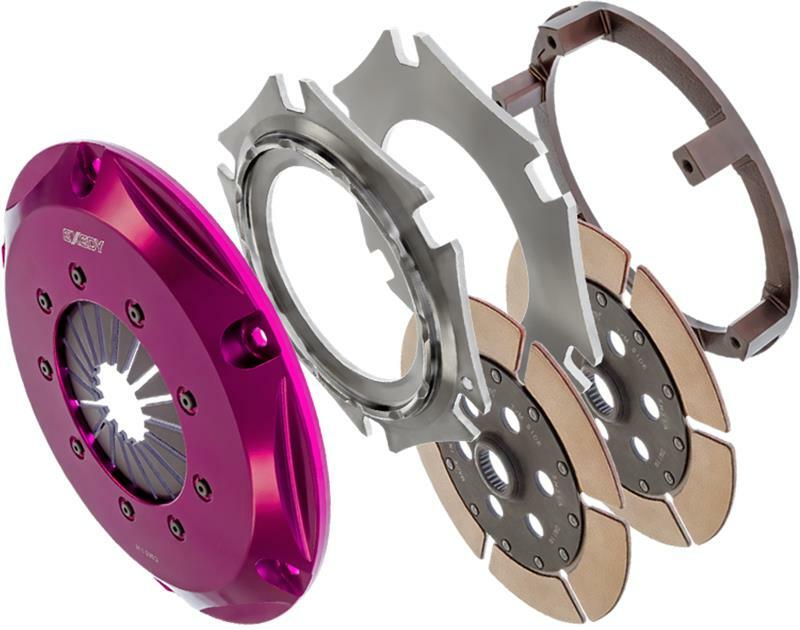 All EXEDY Racing Hyper Builder Series Clutch Kits carry SFI 1.2/1.5 Certification. Which means, when you buy these products, you can be confident they are certified for use in competitive motorsports.